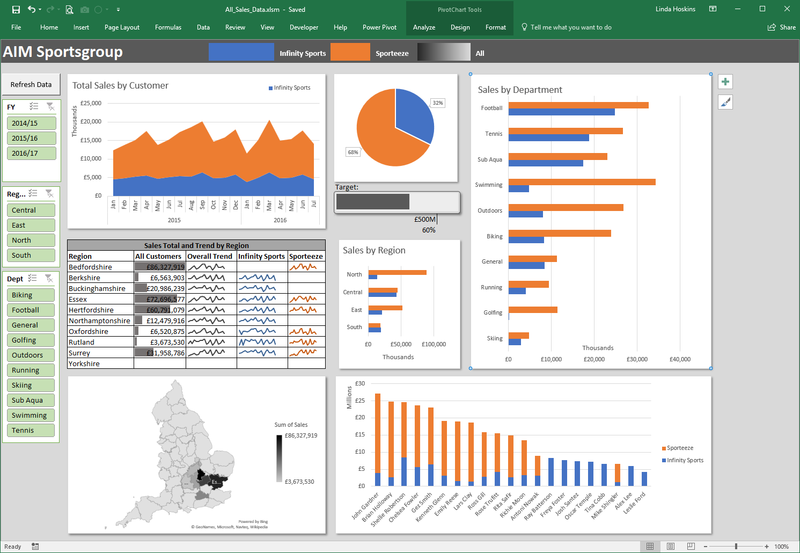 An Excel dashboard is a visual dynamic interface showing a summary of consolidated data on a single screen. On this course you will learn how to create Dashboards using the existing tools in Excel. You don’t need any knowledge of Visual Basic macros and there is no need for extra ‘add-ins’. Some experience of using Tables and basic PivotTables would be advantageous. Suitable for Excel 2013 and 2016 users.